I LOVED this chicken. The marinade for this was absolutely delicious. The combination of spices made me feel like I was on a tropical island! The coconut milk keeps the chicken moist and tender. Don’t be afraid of the heat, it was just the right amount for a very subtle kick. My eight-year-old cousin liked it, it’s definitely not a spicy dish, just very flavorful! I can’t wait to make this again. Cut chicken breasts in half. In a large ziploc bag combine all the ingredients and mix well. Allow chicken to marinate in the refrigerator for several hours, at least two. Heat a grill pan (or grill) over medium high heat. Cook chicken on each side until cooked through. Pour the left over marinade into a small saucepan and bring to a boil for 2 minutes, or until thickened. 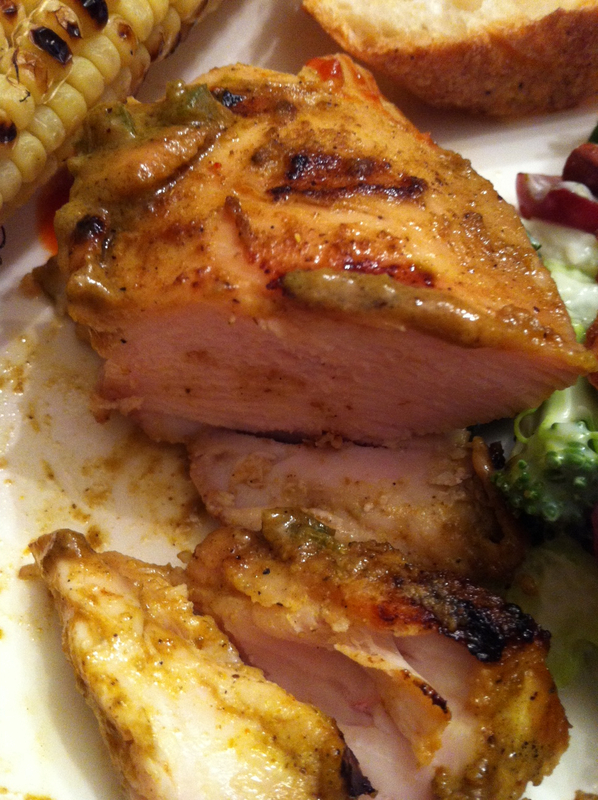 Once chicken is done, pour cooked marinade over top and serve.